Another element that many introduce into their gardens that will give your landscape design shape and dimension is wood. Outdoor Environments constructs beautiful garden structures such as arbours and pergolas to give a patio shade when needed or just to create a point of interest in your garden. Fences can provide separation in your garden or privacy from your neighbours. A deck can provide a wonderful place to entertain and create an extension to your indoor living space. Tiki-huts are another possibility if you wish to have one poolside or for simply creating the feeling of being in the islands right in your own backyard. 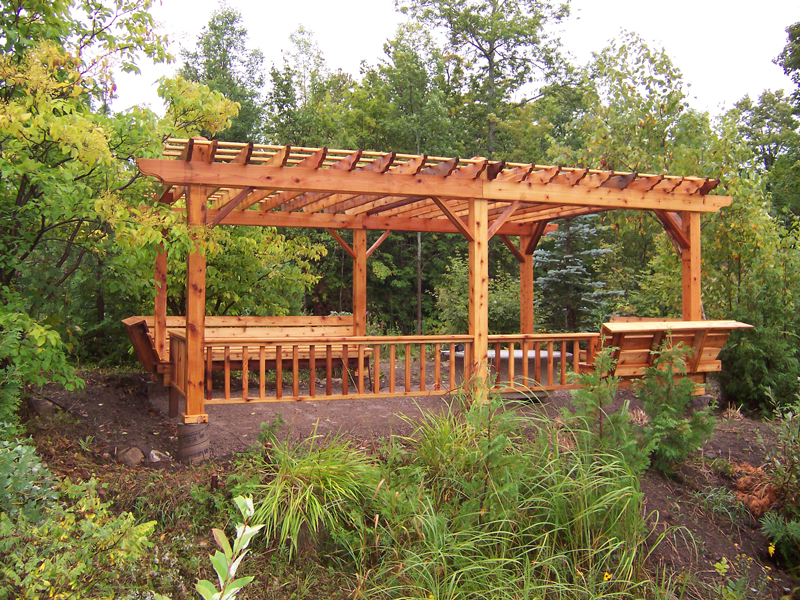 When considering introducing a wood structure, we ensure the design will blend well with the architecture of your house along with choosing a type of wood that will compliment the entire garden design.